Segula is willing to safeguard Opel engineering jobs until 2023. PARIS/FRANKFURT -- PSA Group plans to transfer 2,000 Opel engineering jobs in Germany to Segula Technologies. 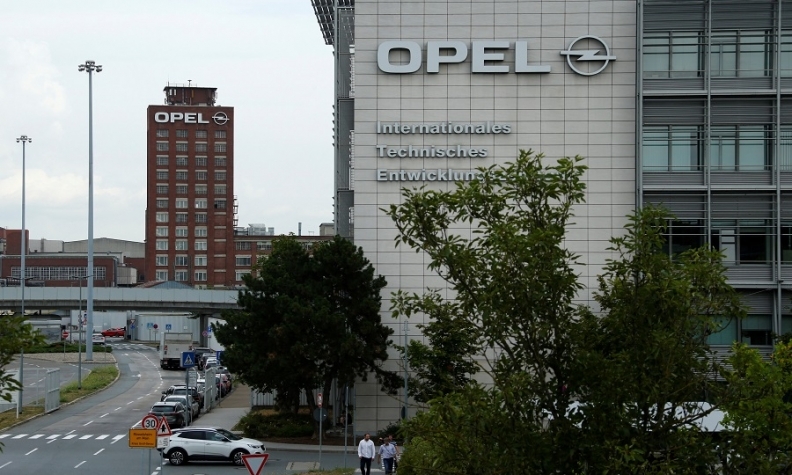 Opel and Segula are in talks for the French technology company to take over vehicle and propulsion engineering facilities at Opel's r&d center in Ruesselsheim, near Frankfurt, Opel said in a statement on Wednesday. Unions in July criticized PSA's plans to sell parts of Opel's r&d arm after reports in the French press that PSA had approached engineering contractors about a sale. Opel's labor leaders said the plans would "threaten Opel's existence." PSA bought Opel from General Motors for $2.6 billion last year, reducing the center's workload as Opel vehicles move from GM technology to PSA platforms and engines. Ruesselsheim was once a global engineering hub for developing small and medium-sized vehicles for various GM brands including Opel, Vauxhall and Buick. Opel said the transfer to Segula would overcome the workload decrease. Segula will become a subcontractor for Opel if a deal is struck, but Opel will not retain a stake in the venture, Opel CEO Michael Lohscheller said. Segula is offering to protect jobs until July 2023, Opel said. Lohscheller declined to say whether the transfer of jobs will have a positive financial impact for Opel. Segula is a French engineering group with 11,000 employees in 140 locations in 28 countries. It is active in the automotive, aerospace, energy, rail, naval, pharmaceutical and petrochemical sectors. In addition to PSA, it has worked on the Autolib car-sharing service in Paris. Segula said that consolidating the Opel engineering employees would give it the capacity to combine vehicle and powertrain development and testing at a single facility. Segula now has about 550 employees in Germany, where projects include development of body components with car manufacturers and Tier 1 automotive suppliers. Martin Lange, managing director for Segula Technologies Germany, said in a statement that the company was looking forward to engaging in a "fruitful dialogue" with unions. "Our plan is not only to secure a sustainable future for the people that would join us from Opel, but we also plan to increase our footprint at the site in line with the technological changes required by the market," he said. Uncertainty over the future of the center has already led to a wave of departures among Opel's senior engineering staff.